You've never seen shades like these! Get ready to scare the heck out of your friends with these Five Nights at Freddy's Freddy Fazbear Sun-Staches. 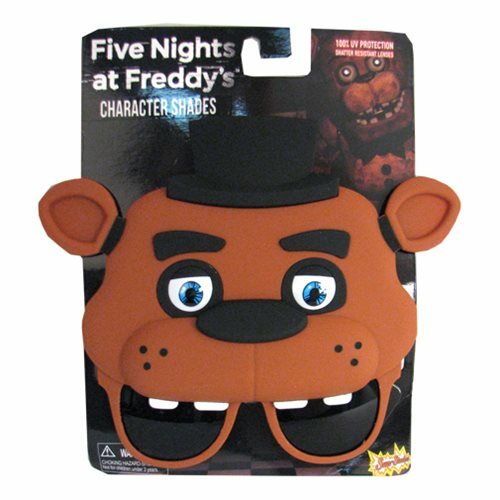 Based off the hit video game Five Nights at Freddy's, you can now be Freddy Fazbear and run around after people. One size fits most and all Sun-Staches provide 100% UV400 protection. Sunglasses measure 8 1/2-inches wide by 6 1/2-inches tall. Ages 14 and up.